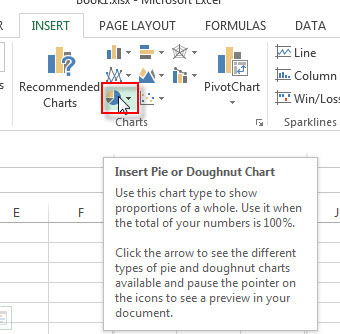 This post will explain that how to create a basic Pie chart in your current worksheet based on the specified data points in Excel. 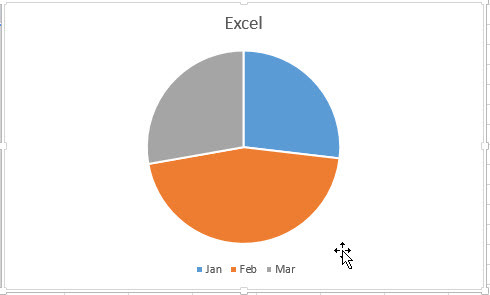 The pie chart is also one of the most commonly used charts in Excel. And you can create a Pie Chart to show the percentage each slice of the pie represents of the total chart value. So you can use the pie chart type to show proportions of a whole. And you can use it when the total of your numbers is 100%. 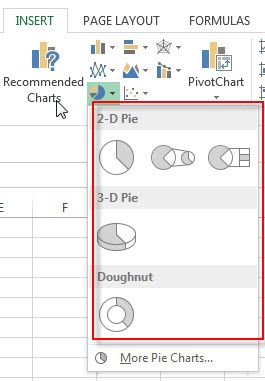 When you want to show numbers as a proportion of the total value or there are only a limited number of pie slices, then you can consider to create a pie chart in your worksheet. 2# go to Insert Tab, Click Insert Pie button under Charts group.